Welcome to The Reticule’s definitive roundup of gaming releases throughout December 2012. All release dates stated are for the EU, across all currently available platforms. Keep this page bookmarked for easy access, as we will link all previews and reviews when we post them on the site. So, it’s Mass Effect 3 release week. Stick around for a team-wide first impressions article this weekend, with Kevin’s review to follow sometime later. But for now, here’s a little pre-release rage. Shenanigans are occurring in the pre-order market today, first up is an Origin only pre-order deal for Mass Effect 3 which is exclusive to the EU where you can get all the pre-order items in one hit for both Digital Deluxe Edition and the Standard Edition. Check out the pre-order page and rejoice in an outlet which will give you all the pre-order bonuses at once, no worrying about what special item you will miss out on. There have been lots of complaints about Origin, but this is a good move. 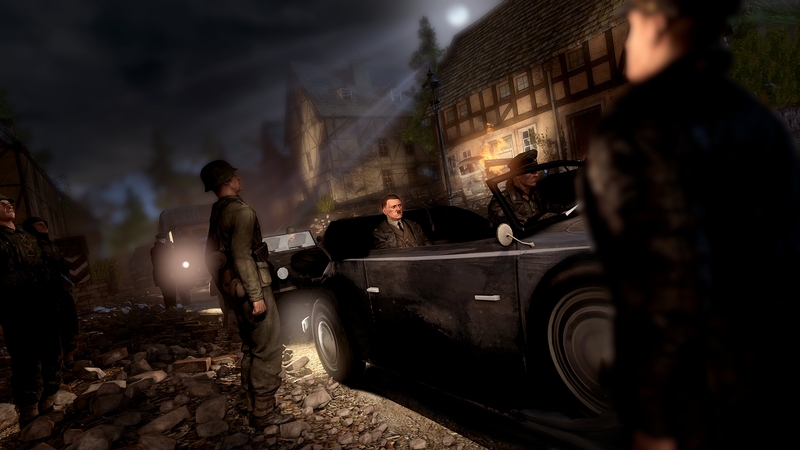 The second bit of pre-order action is for Sniper Elite V2. In this World War Two sniper love-in, we all know that the ultimate mission would be to kill Hitler, the only trouble? If you want to get the chance to kill Hitler in the game, you are going to have to pre-order it. The press release makes no mention of the mission being made available later to those who don’t pre-order. A decidedly bad move I think. Thoughts on this pre-order malarky? Mass Effect is on the horizon again and what better way to get worked up about saving the galaxy and making planet sized decisions with your favourite commander than to dig into the Mass Effect 3 demo. The single player section of the demo is in two parts and may be short and sweet but there is a lot to talk about and even more to get excited about. Freddie Prinze Jr. has been confirmed as the voice actor for Mass Effect 3‘s new character James Vega. In the video he talks about his real life inspirations for the character and his love for the series of Mass Effect, of which he seems a genuine fan. He joins a host of stars who have signed up to do voice acting for Mass Effect 3 including: Seth Green, Adam Baldwin, Martin Sheen and Carrie-Anne Moss. The video shows lots of new footage from the upcoming Mass Effect 3 release but don’t worry, no spoilers. In case you haven’t heard of these guys before Walls 360 are a Las Vegas based company that have been creating amazing wall graphics for a few years now. Among other things they have created some great Battlefield 3 and Tetris art up to a giant 6 foot in height and have just released a new batch of Mass Effect 3 graphics for you to drool over. Whether you’re a huge fan of Commander Shepard and can’t wait to get a print in your room or you just fancy giving your neighbours a scare from your front door or garden fence, you’ll have to agree that these graphics look awesome and very tempting. Mass Effect 3 On PC Through Origin Only, EA Clash With Valve? Bioware have announced on their forums that, just like Battlefield 3, any physical or digital copies of Mass Effect 3 on the PC must use EA’s Origin service in order to run. A FAQ has been released answering a few interesting points including problems they have encountered with selling through Steam.